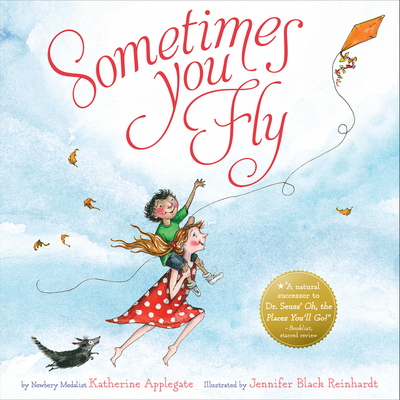 From Newbery Medalist and bestselling author Katherine Applegate, a sweet book of encouragement, filled with humor and insight into the effort behind any meaningful accomplishment in life. A perfect gift for baby shower, birthday, or graduation. Katherine Applegate’s many children's books include the Newbery Award-winning novel The One and Only Ivan, the bestselling novels Wishtree and Crenshaw, the bestselling Animorphs series, and the picture books Ivan and The Buffalo Storm. She lives in California. Visit her online at katherineapplegate.com and on Twitter at @kaauthor.